So many great things are happening right now and I can't even contain myself. The world is so so good. So, last Saturday I wrote this blog post containing a few words about the one and only Kalon Ludvigson. Justen and Kalon both saw it and read it and Justen was awesome enough to share an excerpt from it on his facebook page. As you can see it has received quite a bit of attention. 234 "likes" to be exact. I stand by everything I said and I would like to restate the we all love you Kalon! I would also like to respond to one comment in particular. Kalon, you are seriously the coolest. I cannot wait to see you and I cannot wait to compete tomorrow. And I hope you always know that we are all behind you and we are all proud of you. Thank you thank you thank you to everyone who liked my words and to Justen for sharing them, but I must add this; everything I said was only the words that everybody else was thinking. Like I said, I am so excited for this incredible opportunity to compete tomorrow. I don't have a ton of time today so I am going to refer you over HERE for some joy through the form of music notes. BONUS! It is all clean and also 100% AoF13 worthy (13th article of faith). Sorry for the short post today, I will keep you updated on the competition this weekend! Thanks to all who have supported me. You all rock my socks! Hey! Alrighty guys... My namei is Eliza :) my blog is markthisdaytakehisname.blogspot.com. My favorite scripture is 2Nephi 31:19-20 because it helped me gain my testimony. My toothbrush is pink. I love your blog and wanted to be the first to "interact" (great idea btw). Thanks so much for everything! Thanks for being the first one to "interact!" 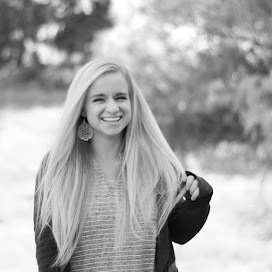 I love your blog and I love that scripture! My "testimony gaining" scripture is Moroni 10:3-5 if you were wondering. I have two toothbrushes (Why? I don't know.) One is blue and one is purple. Your blog is super cute! Thanks for reading and commenting! haha I do too! He is seriously one of the coolest people I know. My favorite scripture is Matthew 10:29-31, because it makes me feel important and loved, and Individual Worth is my favorite YW value. 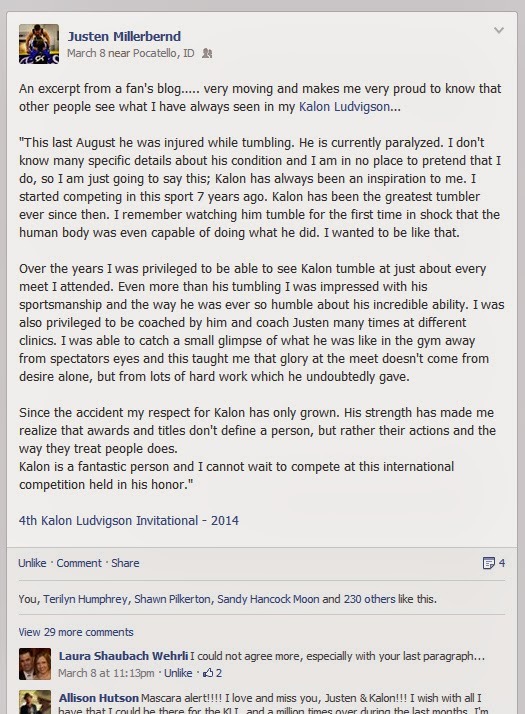 I really like Kalon's story, too, and not just cuz I'm a former gymnast :) the people who go through enormous trials, all the while being super kind and chill and not whining about it, they super amaze me. Cuz I go thru trials (we all do) and mine are comparatively easy, but I'm not a pleasant person to be around when mini trials occur. I need to work on that. I'm a convert to the Church of Jesus Christ of Latter-Day Saints. I know it, I live it, I love it (one of my favorite talks EVER). Aaaaand your blog is super awesome, dearie, just like Eliza said :) I love it when I see that you have a new post up! That is a fantastic scripture! I have a lot of favorite scripture and picking one is like trying to pick a favorite child (not that I would know...ha) But if I had to pick one I would say Moroni 10:3-5 as it was the scripture that helped me gain my testimony. haha yes that was why I went to that question. Awkward Mormon dance questions are the best! I had a kid as me once "If you were a type of salad dressing what kind would you be?" haha anyways, for some reason I have two toothbrushes. Don't ask way, because I'm not sure myself. One is blue and the other is purple. Gymnasts unite! haha I love Kalon's story as well. Trials are hard but they are so much easier through Christ. That's what I love about this church is it gives me hope in trying times. That is also one of my very favorite talks! Ahh thanks love! I love when you comment! It makes me happy! Also, I love your blog to pieces! You are awesome and I'm glad we have been able to become "blog friends" regardless of the unlikely circumstances being the fact that we don't live near each other and only know of each other through blogs. It's quite cool to me. Thanks for taking up on my challenge! You rock!